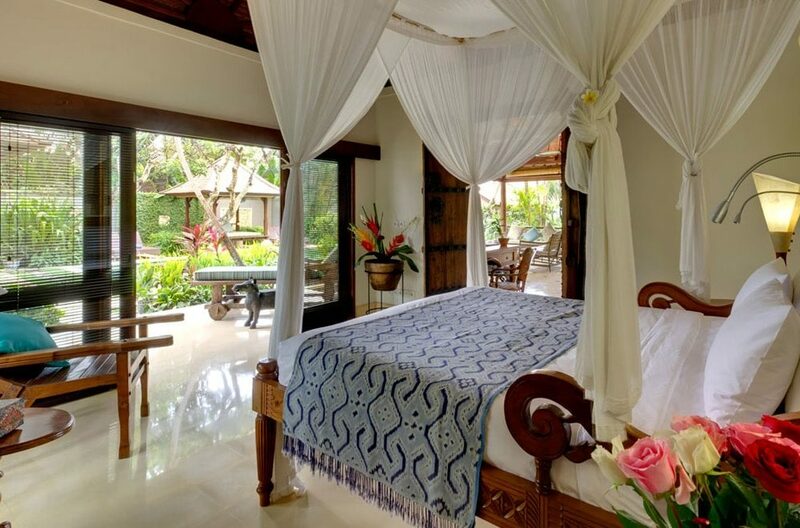 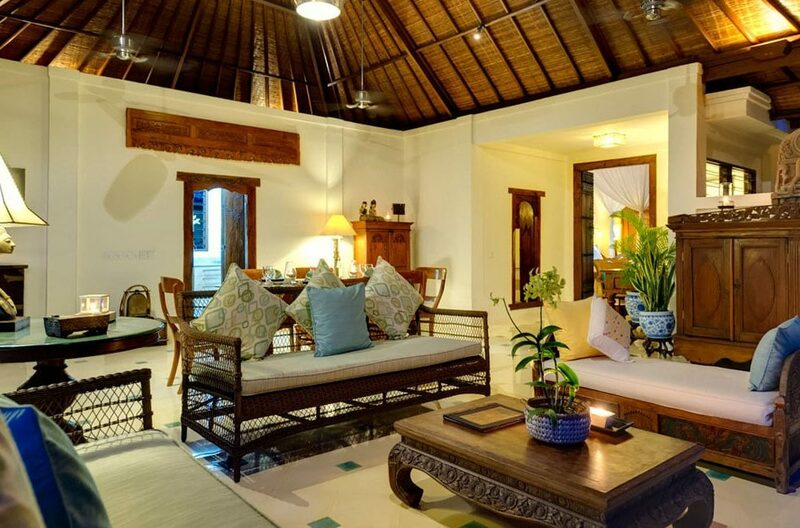 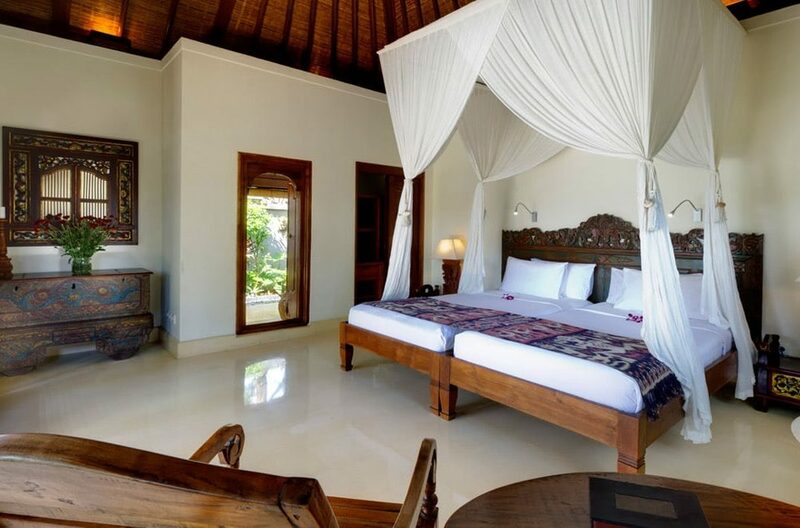 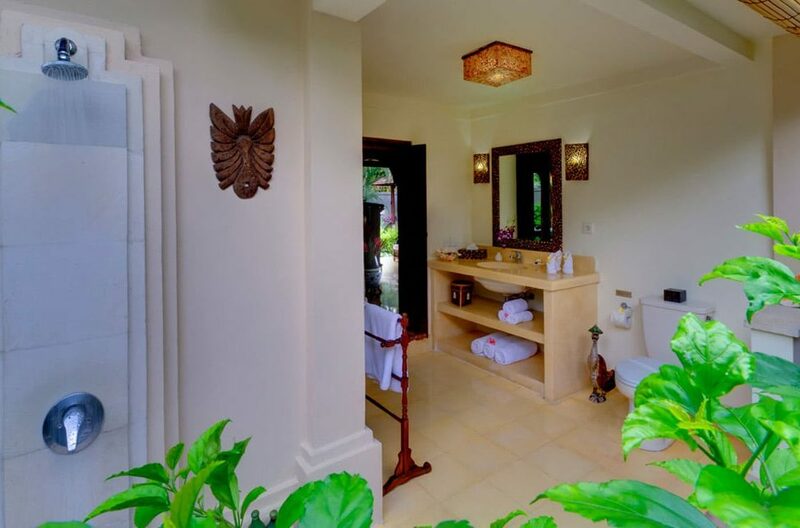 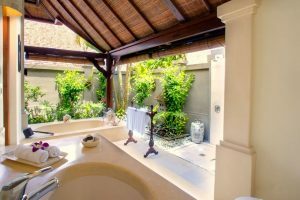 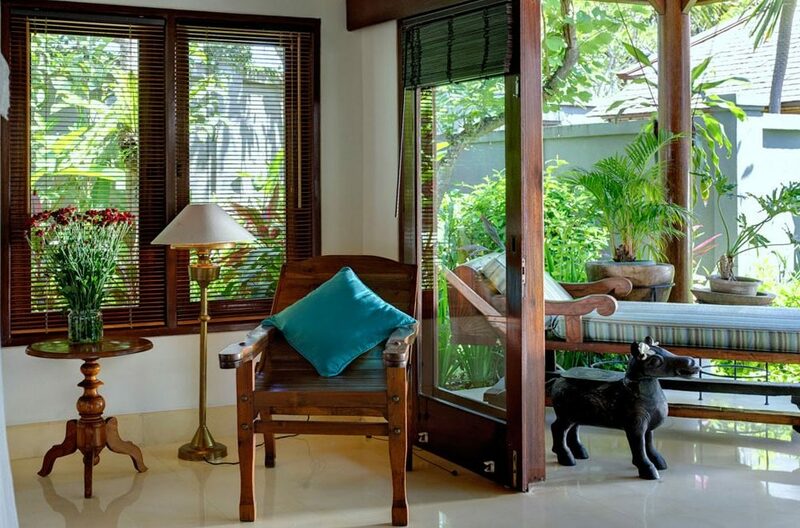 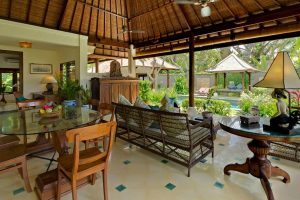 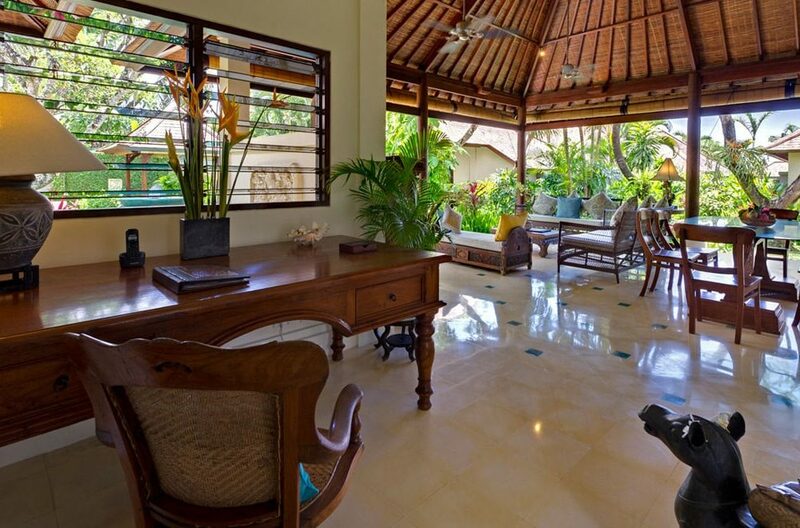 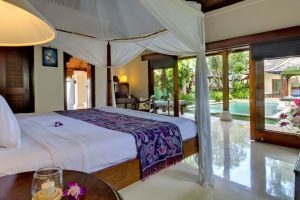 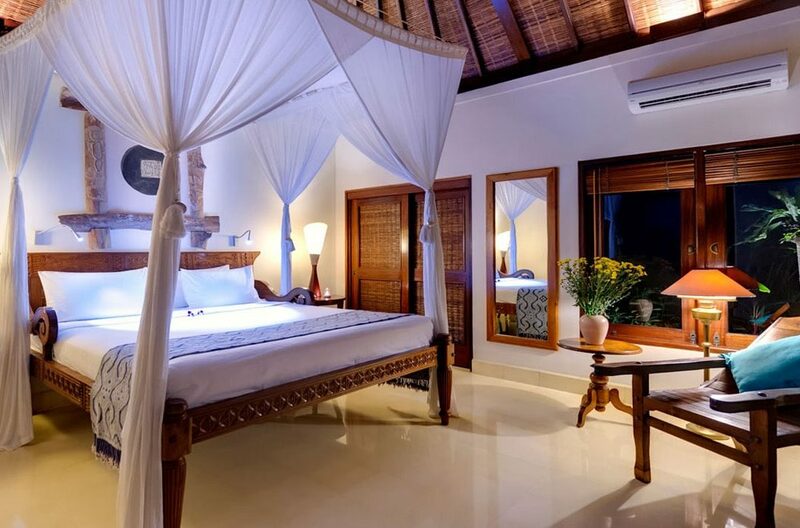 At the centre of the villa is the open-sided living and dining areas, tastefully decorated with unique artefacts and paintings are complimented with comfortable wicker sofas and a real sense of traditional Balinese design. 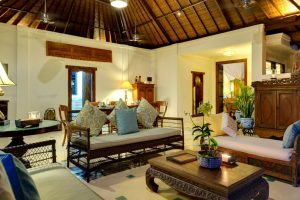 The western kitchen provides a great catering facility for dinners at the 6 seater glass dining table. 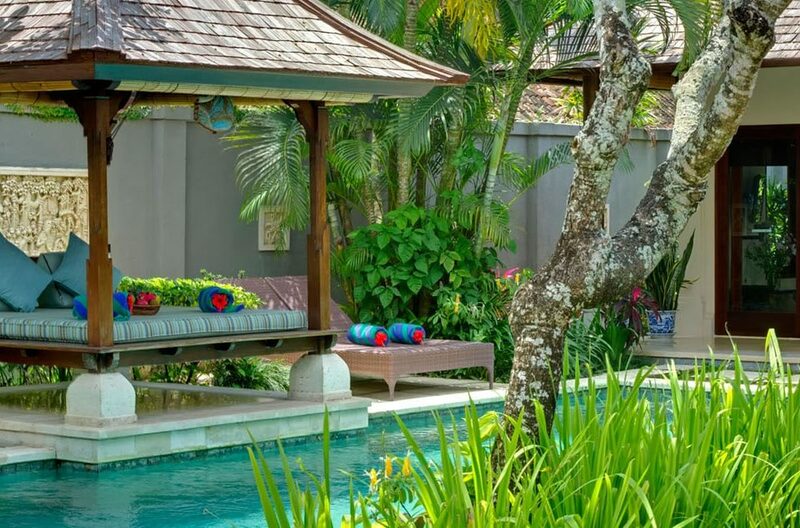 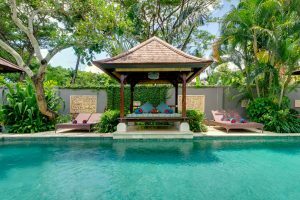 The salt water swimming pool is accompanied with a poolside bale and sun loungers amid the lush tropical garden. Terrazzo floors, ceiling fans, custom built wooden beds and splashes of batik, antiquities and art-work from Java create a homely ambience for guests. iPod docks add a modern touch while the lovely garden bathrooms, dotted with bluestone pebbles and with open-air showers, offer tropical style. 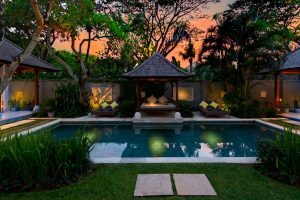 The highly trained staff consist of a Villa manager; private chef; housekeeping; butler; gardener/pool maintenance and security. Additional staff (babysitters, masseuses) available on request. 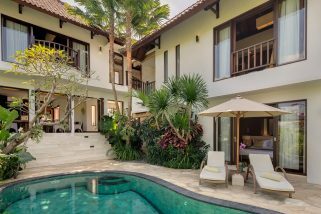 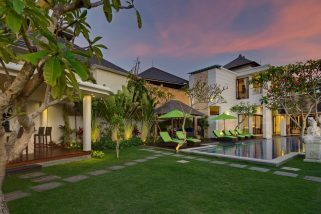 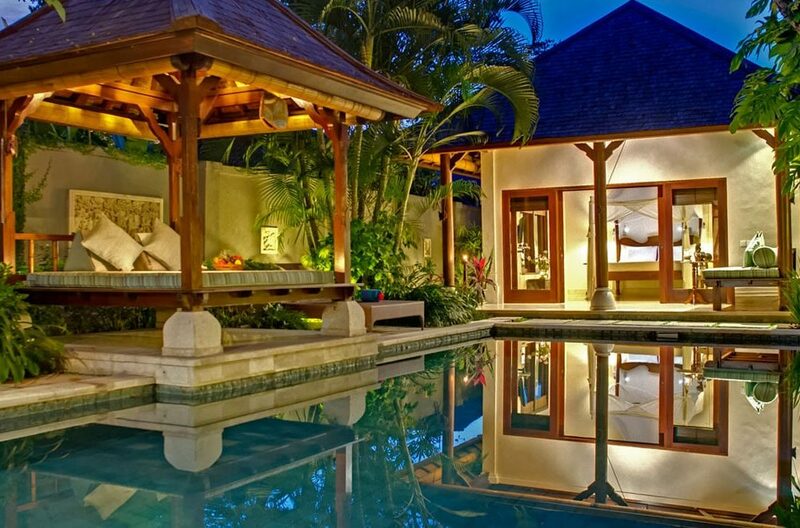 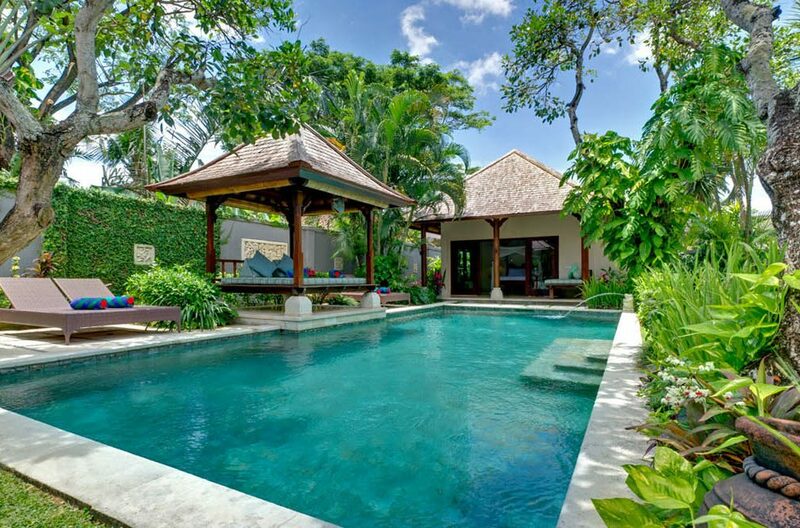 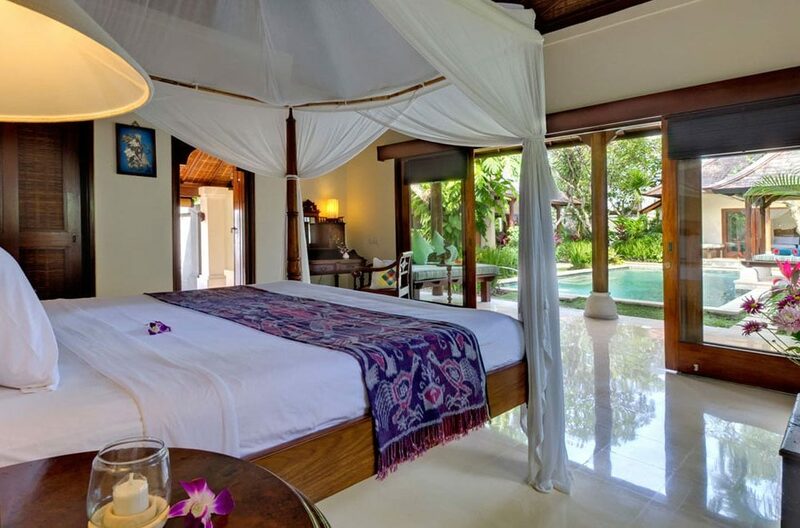 The villa is close to the Canggu club and only a 15min drive to Seminyak. 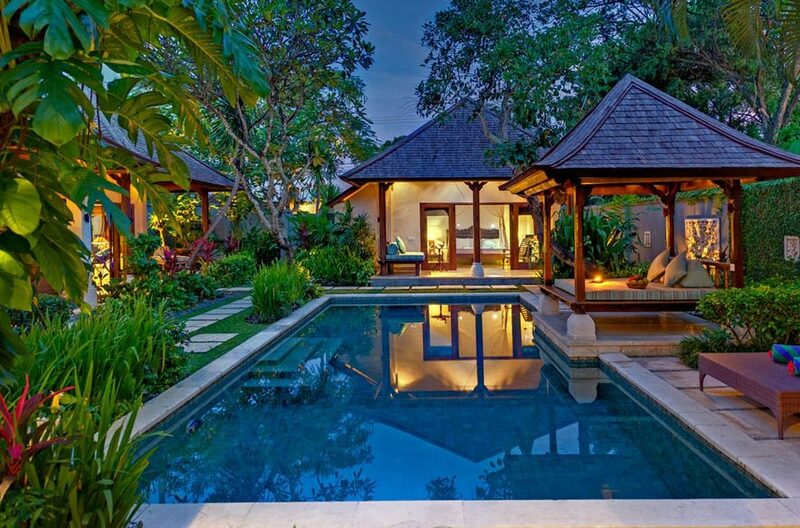 Tanah Lot and the famous Nirwana Golf Club are also a short drive away. 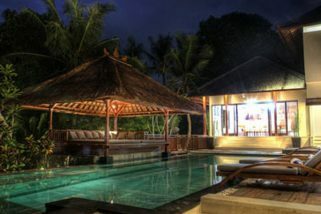 Echo Beach offers a selection of cafes and small restaurants and great waves for surfers. 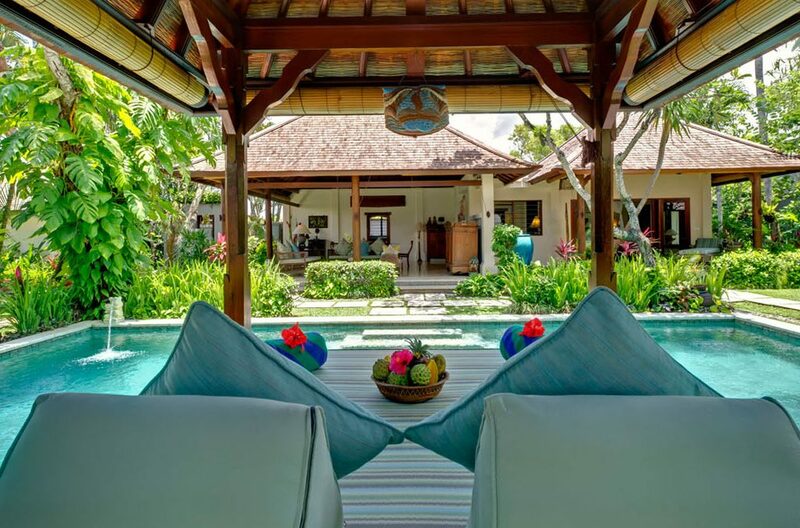 Rice fields, coconut trees and banana plantations and infused with the rustic charm of the Balinese countryside create a pristene setting where you will discover Villa Canggu Terrace.